Our team understood that the development of our project could not solely be based on the research we had done to prepare for this experiment. We knew the importance of receiving feedback from people in various fields related in order to develop a well-structured project. Throughout the summer, we spoke with experts in to gain insight and advice on aspects of our project, from modelling to experimentation. Here are some of the most impactful interactions, and how we integrated them into our project. Dr. Feng Zhang and the Zhang lab were integral in understand how Cas13a works, and how its functionality changes in bacterial vs. mammalian cells. After explaining our project plans, graduate students Omar Abudayyeh and Jonathan Gootenberg gave encouraging feedback about the viability of the use of dCas13a to control alternative splicing and also gave suggestions about the design of our experiments. Additionally, Omar and Jonathan went through data on their experiments for characterizing Cas13a orthologs in various species to find the optimal versions for use in later experiments. They determined that although L. shahii Cas13a (LshCas13a) works in mammalian cells, L. wadei version (LwaCas13a) is better at knocking down targeted RNA. Additionally, they explained that LwaCas13a demonstrated comparable knockdown to using short hairpin RNA (shRNA). After learning about the superiority of LwaCas13a, we looked to expand our collaboration with the Zhang lab by performing experiments using the Lsh dCas13a or Lwa dCas13a. Unfortunately, their research on LwaCas13a was so recent that papers were still in the process of being reviewed. Because of this, not only were we unable to receive a plasmid containing the gene, but also we couldn't talk about the LwaCas13a in detail until the papers were published. Thus enlightening interaction gave our us a stark introduction to the legal processes and IP issues involved with bioengineering research and collaboration. These legal aspects added an interesting facet to our project. First, we needed to format our experiments in a way that took into account the time necessary for reviews and publications. Second, we had to re-structure the way we described our project so that we didn't talk about L. wadei Cas13a explicitly. In fact, the only reason we can mention it now is that the Zhang Lab recently published their paper on the protein. Finally, it raised the discussion about an important part of biology that many don't always associate with research: patents. We reached out to MIT's Technology Licensing Office (MIT TLO)to better understand the steps that need to be taken before a new concept can be mentioned and used by others. The MIT TLO helped us come to a contractual agreement with the Zhang Lab to use LwaCas13a to control alternative splicing. Unfortunately, the timeline for paper reviews and iGEM didn't line up, and we were unable to test LwaCas13a in our system. We did, however, learn about the importance of licensing and collaboration. The MIT Burge Lab focuses on using computational and experimental methods to better understand gene expression and regulation, specifically the rules that govern RNA splicing specificity. Members of our team met with researchers from the MIT Burge Lab to get some advice for our SpliceMIT modeling program. The lab already offers models that will return specific splicing elements present in a given sequences that a user inputs. We hoped to apply concepts used in these models to our program. We discussed how the location of binding for the gRNA would have the biggest effect on splicing, and therefore affects what kind of guides the program would return to the user. Other important aspects discussed include the factors that affect a guide's ability to bind and the strength of such binding. It was from these experts that we learned what to consider for Splice MIT's parameters, as well as how to quantify the "best" guide based on a scoring and ranking system. CHOP CHOP is a web tool that generates target sites for CRISPR/Cas9, CRISPR/Cpf1 or TALEN-directed mutagenesis. After speaking with developers of the software, we incorporated advice they gave into Splice MIT. Such advice included thoughts on how annotating introns, specifically how to get target sites to appear on introns. They also suggested using a ranking system based on activity scores, complementarity, and off-target effects. When thinking about using our system in therapeutics, we knew an important aspect to consider was how the system would be delivered. After some research, we examined solid lipid nanoparticles (SLN) as a potential vehicle. To better understand how SLN worked, we spoke with Dr. Hao Yin from the Langer Lab. Dr. Hao explained that SLNs work best in mouse models rather than the in cell lines we intended to transfect. Furthermore, if we were to demonstrate successful proof of concept in our cells, the next step could be to consider toxicity and delivery using SLNs. Because of his advice, we did not use SLNs to transfer our system into cells; however, his input was a deciding element for the scope of our project. We worked toward demonstrating that our system could control exclusion of exons so as a possible next step, SLNs could be tested and the therapeutic capability of Cas13a and Ms2 could be explored. To better understand the considerations and obstacles to developing and commercializing an RNA-targeting therapeutic, members of our team spoke with associates from miRagen. 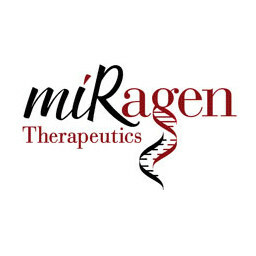 miRagen Therapeutics is a biopharmaceutical company that develops microRNA-targeting therapeutics to treat unmet medical needs. We discussed the pathways from starting with a promising technology demonstrated in the lab to an FDA-approved therapeutic that patients can use. Having a good perspective of how the RNA being targeted fits into the interacting biological pathway is vital to the success of your therapeutic. Toxicity is a common problem that plagues RNA-targeting therapeutics, so trying to address this early and frequently is important. (Our model confronts toxicity associated with off-target effects). Having good biomarkers for validating the results of your system is really helpful. Understand how your technology will be regulated by the FDA. Having strong IP and a solid business plan will either make or break your company. This meeting was valuable in giving our team a better perspective on the challenges of commercializing our technology. miRagen associates went through the benefits and drawbacks of marketing our technology as a platform tool vs. solely a therapeutic. We concluded that current best application of our foundational advance is therapeutics.